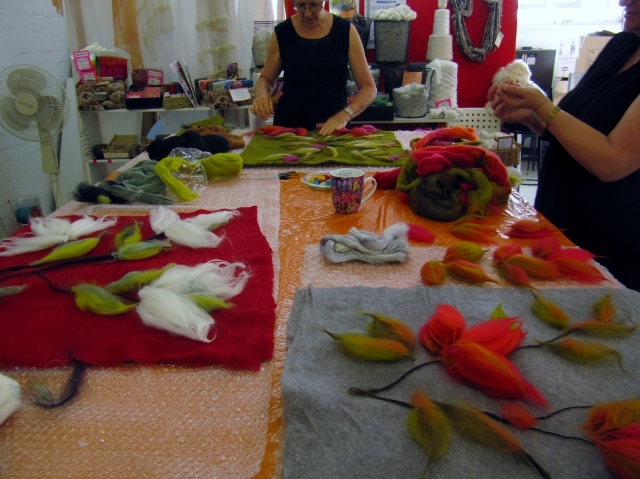 Precious Purl: Wendy Bailye Workshop! 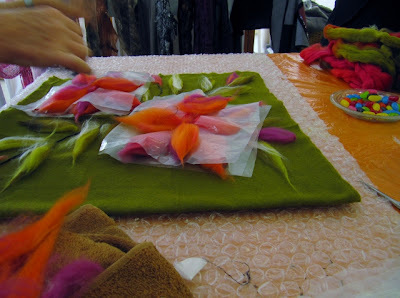 We had a great workshop at Precious Purl with Wendy Bailye from Brisbane on Monday. It was a challenge for new felters but great results. 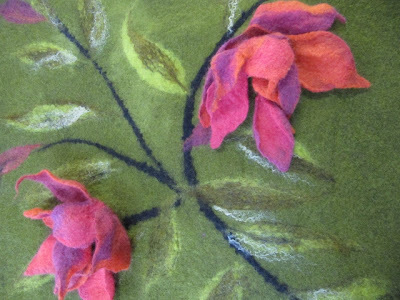 Using prefelts, gorgeous cushion covers with 3D flowers were created. Time was taken with the design process. Wonderful results were achieved. We hope to have Wendy again next year. Stay tuned for dates and project! Don't forget to check out my 100th post giveaway of 30th March!